Cape Ann FHC strives to better our players hockey from the U10 to Collegiate & Post Collegiate level. On top of helping our players & their families, we want our club to be an open book to other passionate coaches in and around New England. We feel that our team can help other coaches, at any level, become better at their craft. Lead by Coach Chris Pothier, former US Men’s National Team member, on staff in the US National Team pipeline for Junior & Senior teams as well as being the Assistant Coach at Merrimack College 2016 D2 National Champion Runner Up; he will lead multiple coaching educations programs throughout the year for coaching willing to learn & better their knowledge! 1. Join in on any or all of the below coaching education clinics offered below. We are going to develop a tiered system of clinics designed to build off of one another & grow the coach step by step. 2. Join in on any Cape Ann FHC practice held at any of our THREE locations. Please just email Chris@CapeAnnFHC.com with your information & where you will be attending, when, & he will gladly email you our curriculum for that day and make sure you are involve in every aspect of our training session. 3. 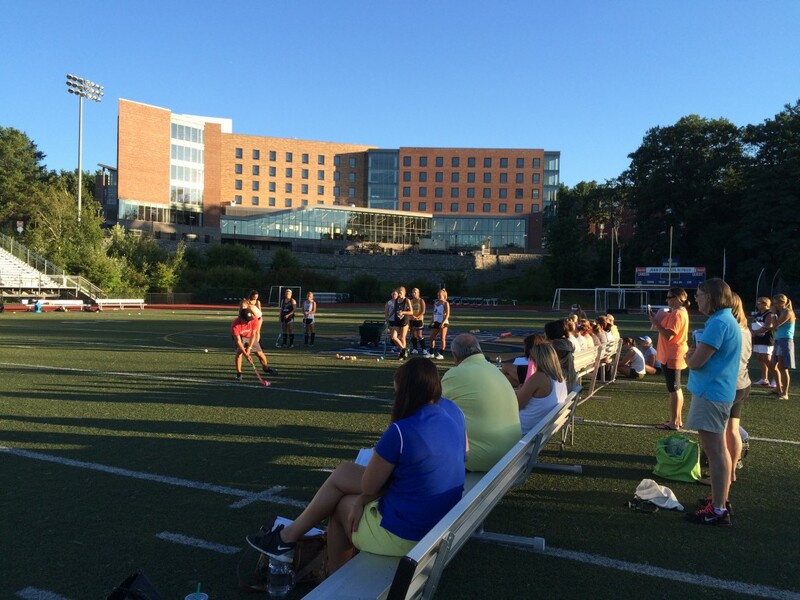 Host Cape Ann FHC staff at YOUR SCHOOL during your preseason or regular season to help guide, direct & develop a fun & enjoyable learning experience for not only your players, but your entire staff! Please email Chris Pothier at Chris@CapeAnnFHC.com to register yourself & your entire staff for the clinic TODAY! Upon Emailing Chris with your confirmation, an E-Form will be sent to you to fill out and your spot will be confirmed once your check is received PRIOR to the clinic.